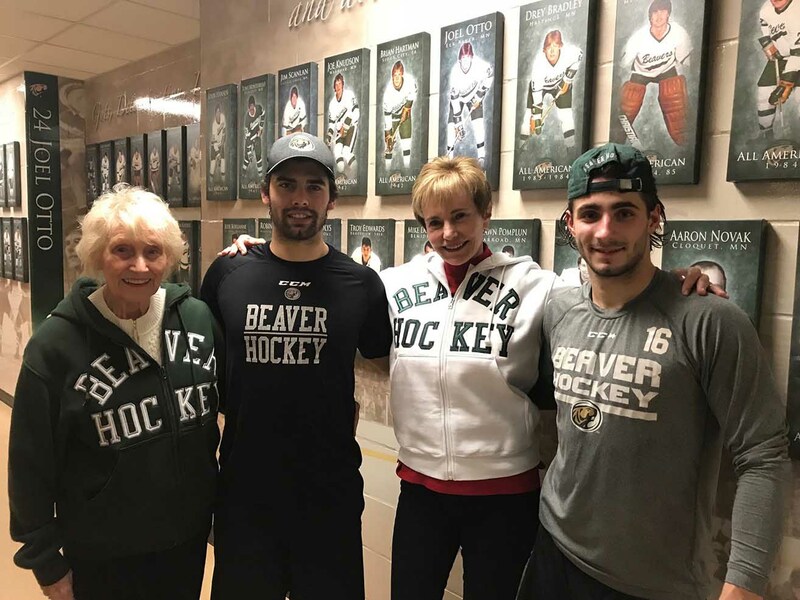 A founding member of Bemidji State hockey, John Emkovik ’49 laid the groundwork for the program as a student-athlete by helping rebuild Bemidji’s curling arena for hockey use. A passionate educator, Emkovik taught Russian to three generations of students before retiring from South St. Paul High School in 1987. Although Emkovik passed away in 2015, his legacy remains through an annual scholarship that supports two BSU men’s hockey players. In 2017, Emkovik’s wife, Cay, and daughter, Cait Griffin, endowed a scholarship in John’s name to remember the man who held hockey, education and BSU so close to his heart. Two awards are given each year with preference to those majoring in education. Griffin and Emkovik visit Bemidji each winter to watch the Beavers play and meet the scholarship recipients after the game. “We get a lot of joy knowing that what we are doing for Dad would make him happy,” Griffin said.